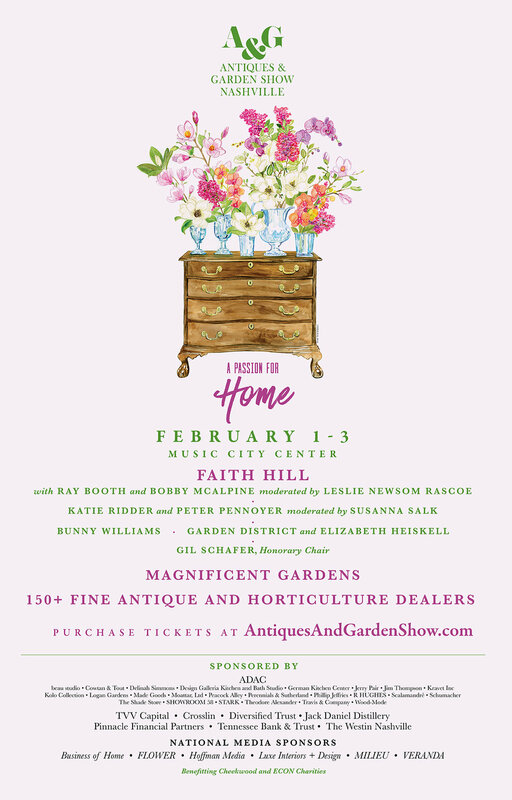 I will be exhibiting at the renowned Antiques & Garden Show of Nashville this coming February. 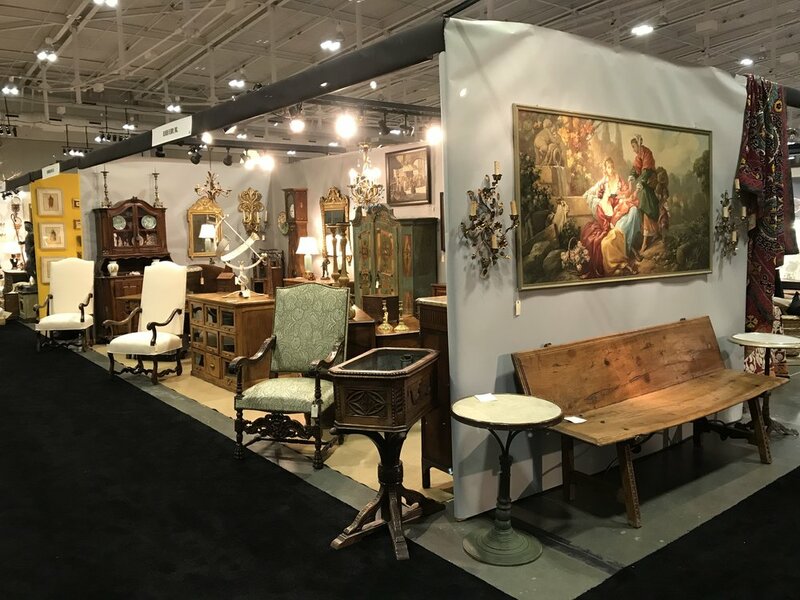 Come and see me at booth A-61. A bientôt. 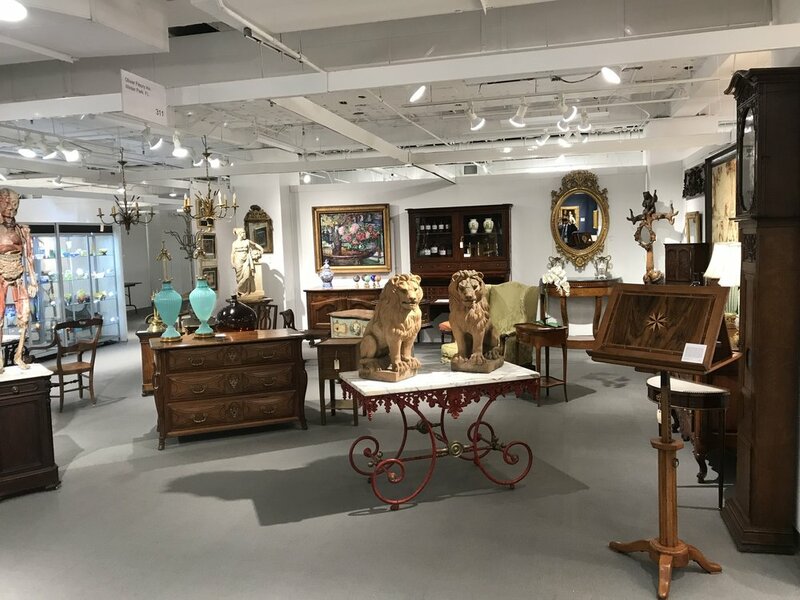 Chicago Antiques Show is coming up soon. 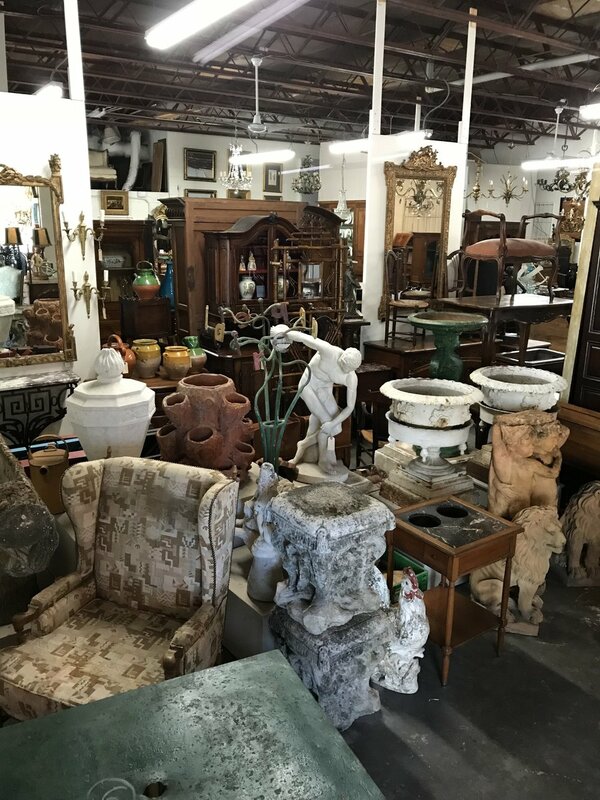 Here are some views of the shop. 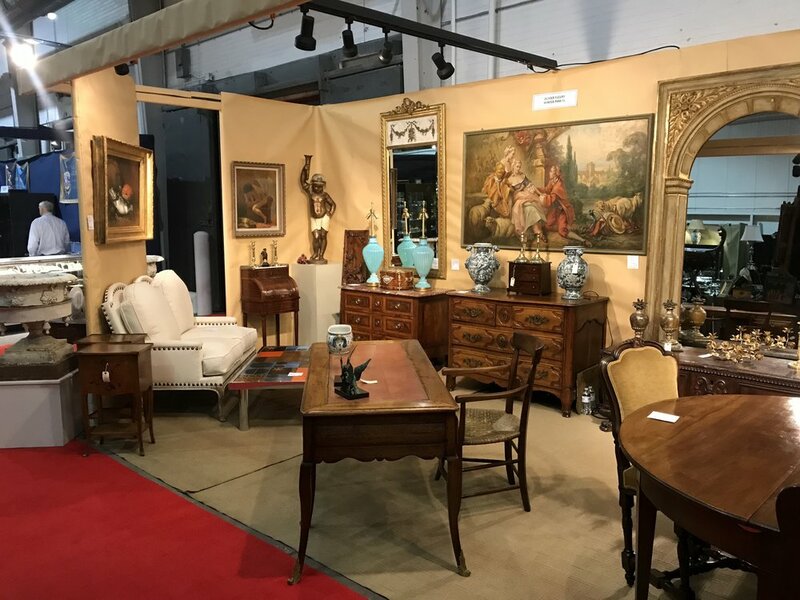 March 16 -18 Houston Antiques Show. Now open at 2000 Edwards Street in Houston. 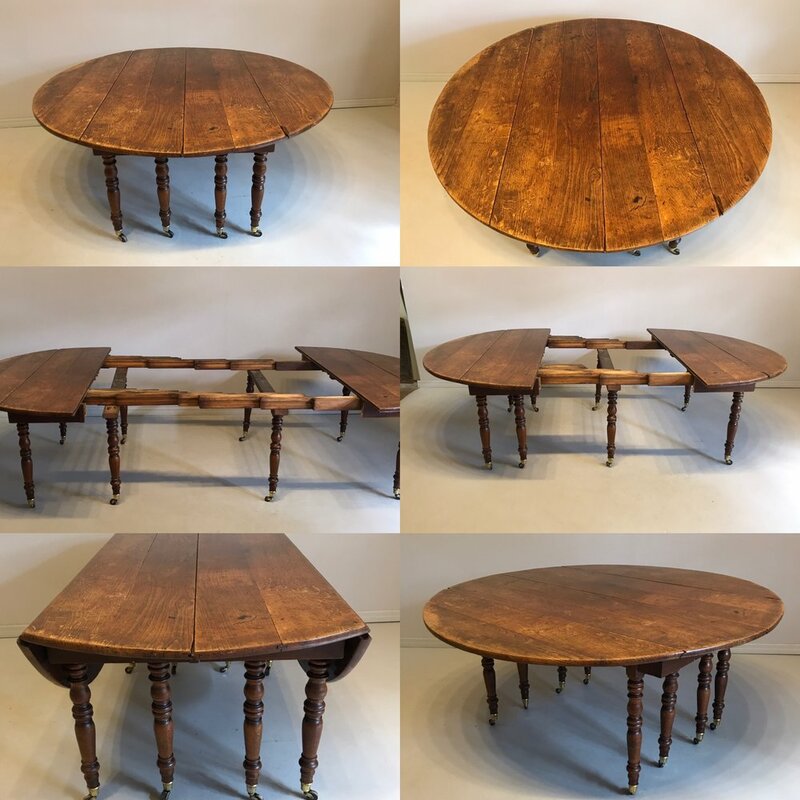 Looking for a 15' long Dining Room Table....I have this beautiful one. Item of the week. A splendid 18th century commode from Castres, SW of France. A fine 18th c. Louis XVI commode from the town of Castres the Southwest of France and in a style that is typical of this region. 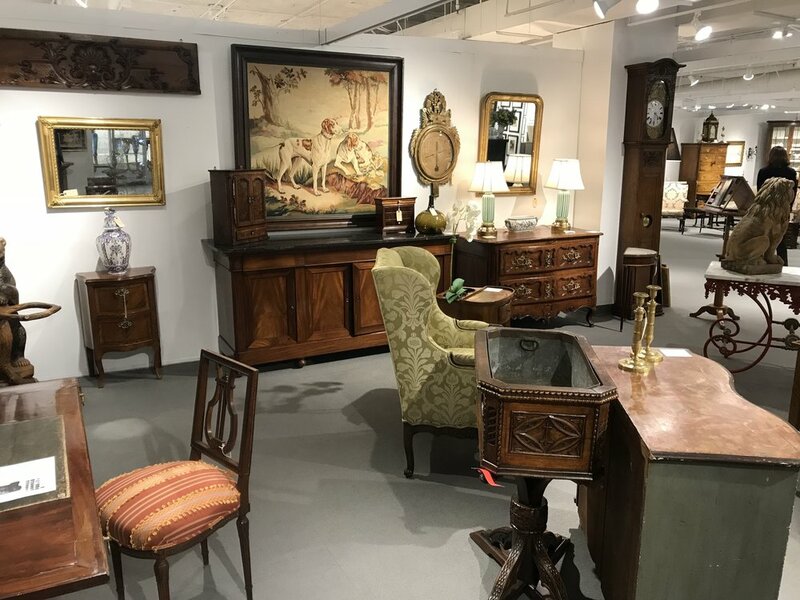 Made of solid walnut with three dovetailed drawers and three raised panels on the sides, all convex surfaces with incised details. The top is made from a single 1-1/4" thick plank. Interesting sculptural corner decorations ending in hoof feet. Beautiful bronze hardware is of the period, but not original to the piece. No locks. Minor restorations on the drawers and the runner of the one drawer. Waxed patina. 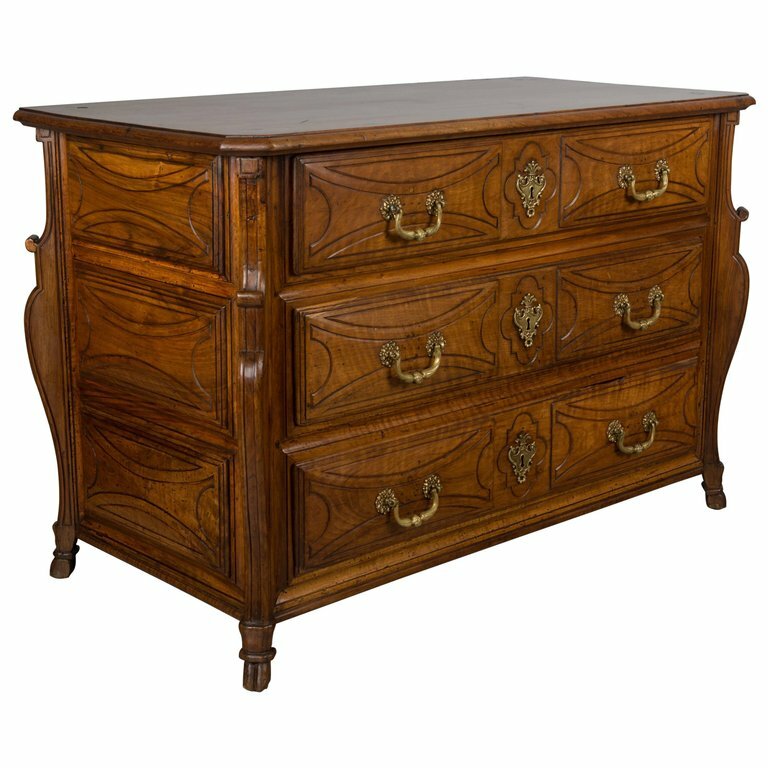 An exceptional chest with good proportions and providing ample storage. Circa 1740-1760. 49"w x 25"d x 33"h.
My selection of the month. 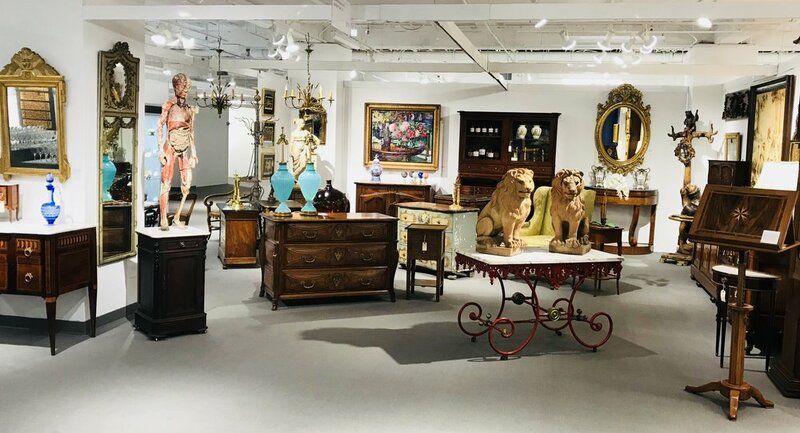 A wonderful quality Louis Philippe Enfilade. Made of solid mahogany with oak as secondary wood, four doors and three drawers, topped with a Belgium black marble top ( repaired professionally). 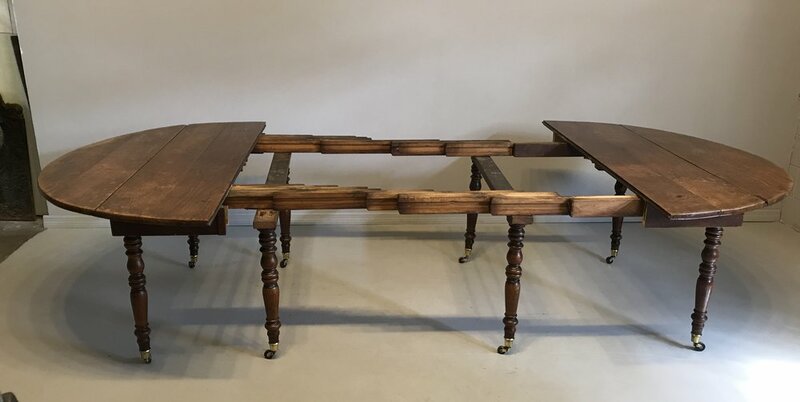 To my taste, this is a perfect enfilade with great proportion and a beautiful French Polish finish and in over 31 years of business, this sideboard is in the top #10 enfilade I have ever owned. 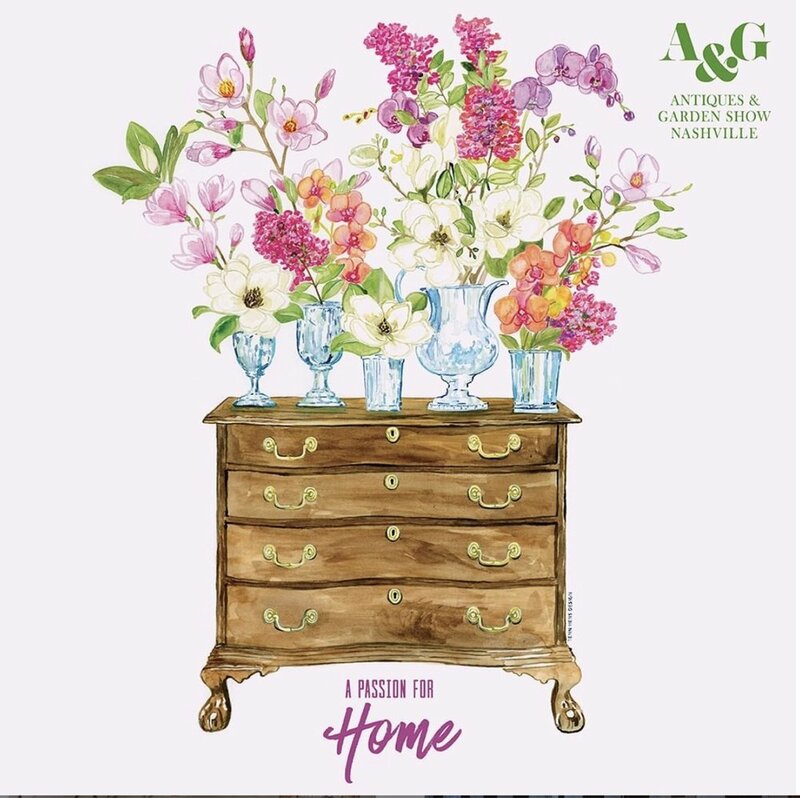 Come and visit my booth. 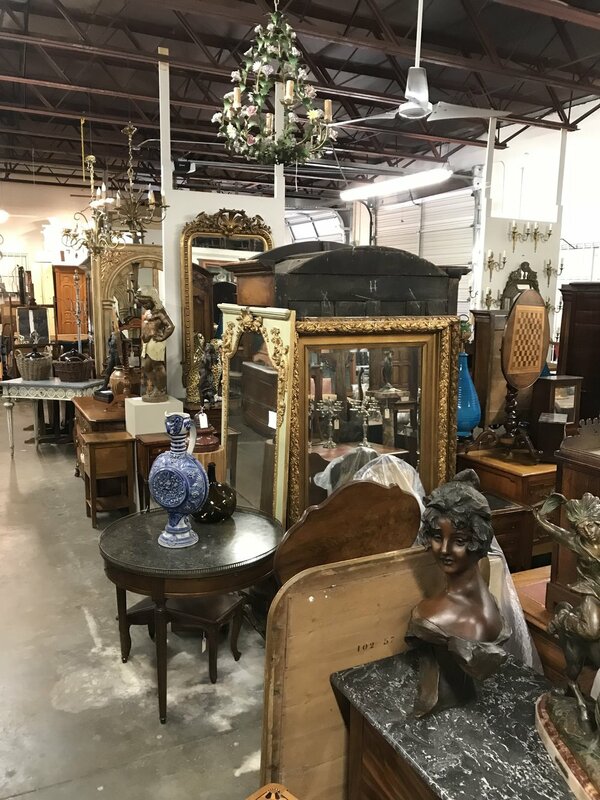 I will bring some wonderful antiques and you may view my inventory and should you like to see some specific antique, let me know and I will bring it for you.